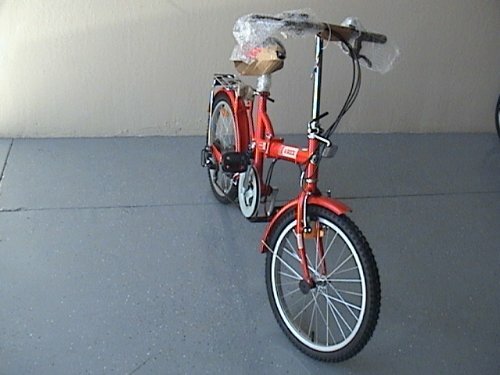 View More In Folding Bikes. Material: 20 inches Hi-tech steel frame. Kenda tire, Steel rim, aluminum ring. Front/Rear brake: Caliper/Band brake Fold up to: L 34" x W.12" x H.22" Net weight: 27 lbs. and adjustable 3 Speeds, Seat and Handlebar are adjustable and removable. Color available: RED Factory warranty for one year of any defect or workmanship. 20"K-ROCK folding bikewith HI-TECH steel frame. If you have any questions about this product by BESTCO PRODUCTS, contact us by completing and submitting the form below. If you are looking for a specif part number, please include it with your message.